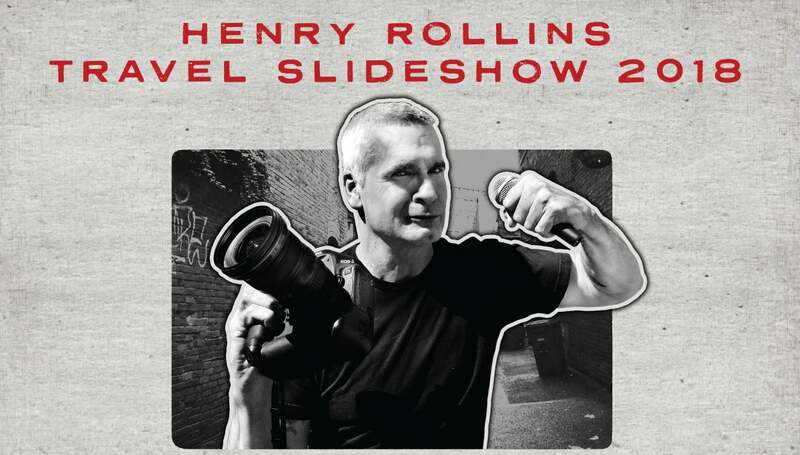 For many years Henry Rollins has taken photographs on his travels. Join Henry for an intimate evening as he shows many of his favorites from Baghdad to Pyongyang. Rollins will present a special performance drawing on experiences and his vast archive of photographs. As a keen observer, Henry will be bringing stories from journeys all over the world, including the Middle East, Africa, Central Asia, South America and Antarctica.